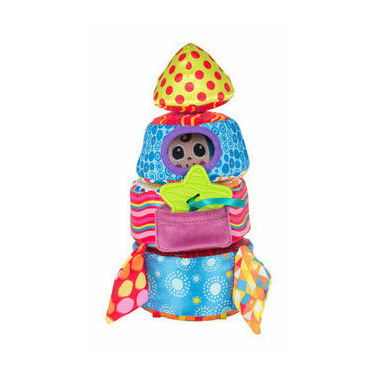 Get ready to blast off with the Lamaze Stacking Starseeker. 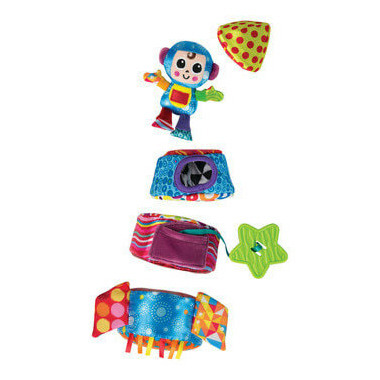 This colourful plush spaceship separates into 4 segments that baby can use to foster motor skills by stacking up, taking apart and putting back together. The easy-to-grasp plush figure and star-shaped teether encourage put in-and-take-out play, while the bright contrast patterns and surprise crinkles stimulate the senses.